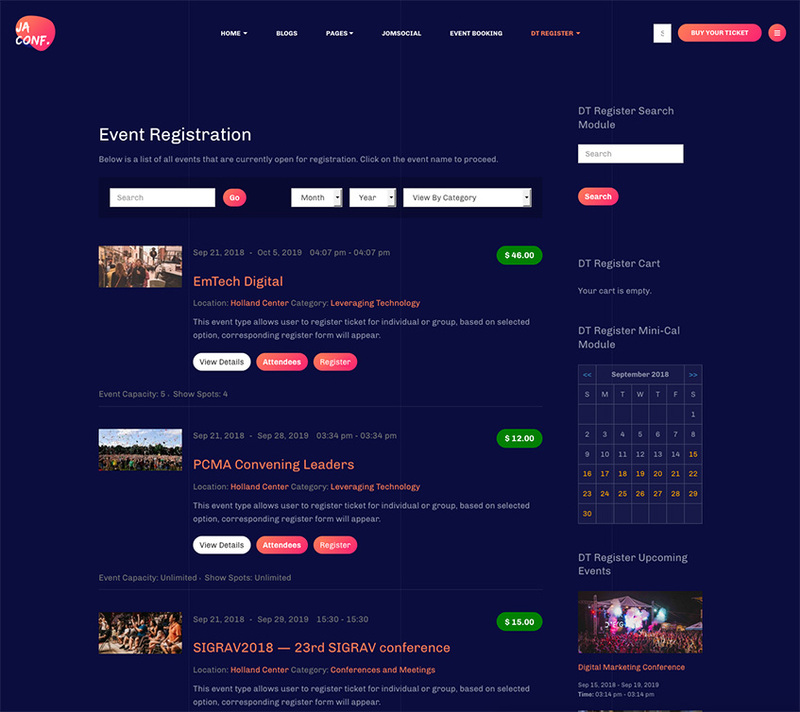 This week, we are releasing an update for Joomla event registration extension - DT Register version 4.0.3 with fully support for JA Conf and JA Event II Joomla templates. The new version also comes with new features, improvements and bug fixes. 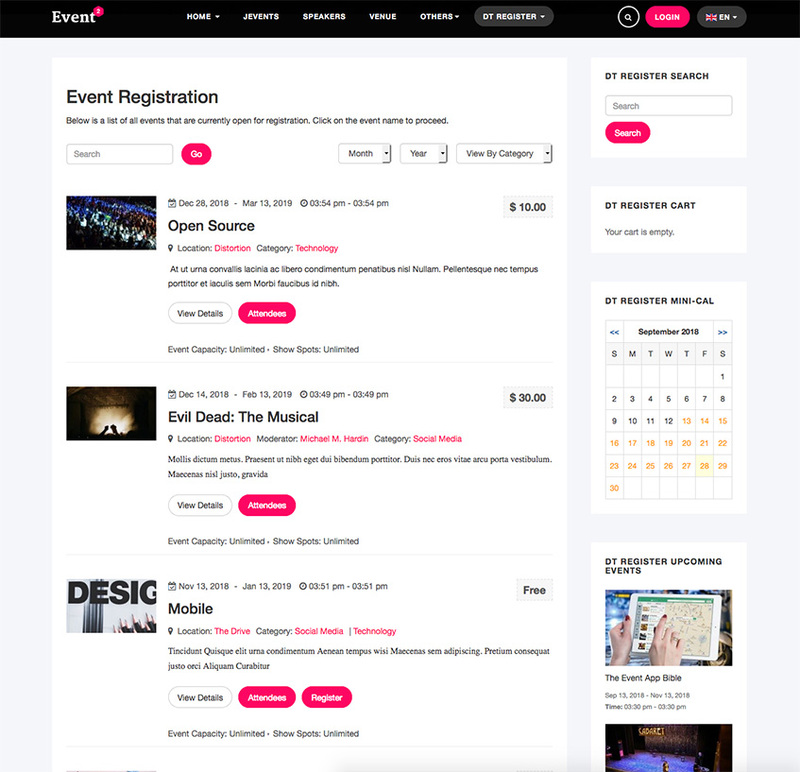 As stated in DT Register 4.0 roadmap, the Joomla event registration extension will native support in atleast 4 JoomlArt / Gavick templates. 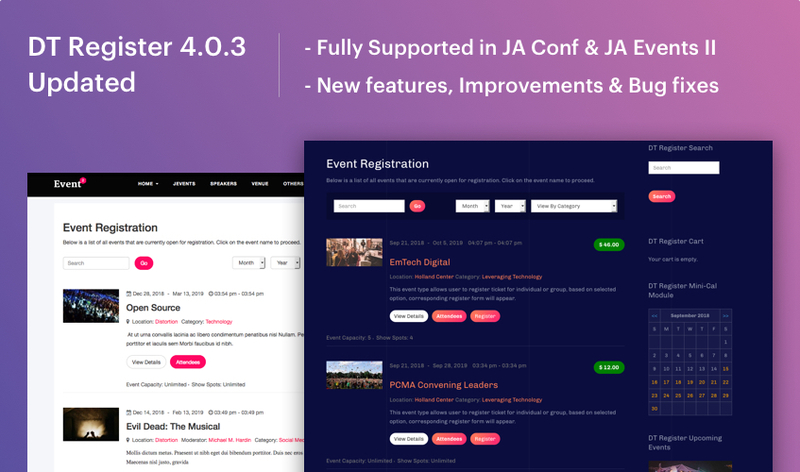 Today, we released DT 4.0.3 to be fully supported in 2 JoomlArt events Joomla template: JA Conf and JA Events II.